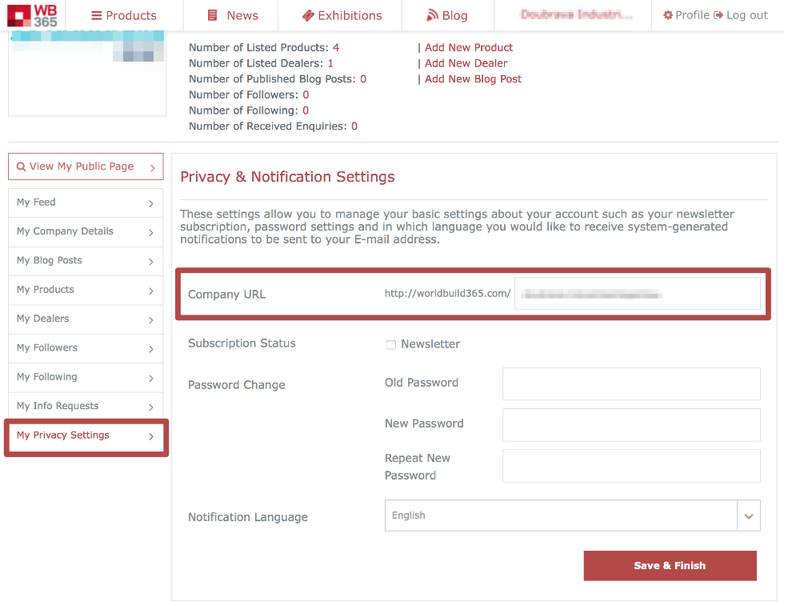 You may customise your Company Page's URL and reserve a worldbuild365.com/companyname path by visiting your privacy settings. Please note that, a custom URL can only be assigned once and is a unique element that is subject to availability. When selecting your custom company name, please be very careful to prevent from typo mistakes or unwanted text elements appearing in this field. In the event of a problem, please contact your WorldBuild365 Account Executive. From the left menu navigation click "My Privacy Settings"